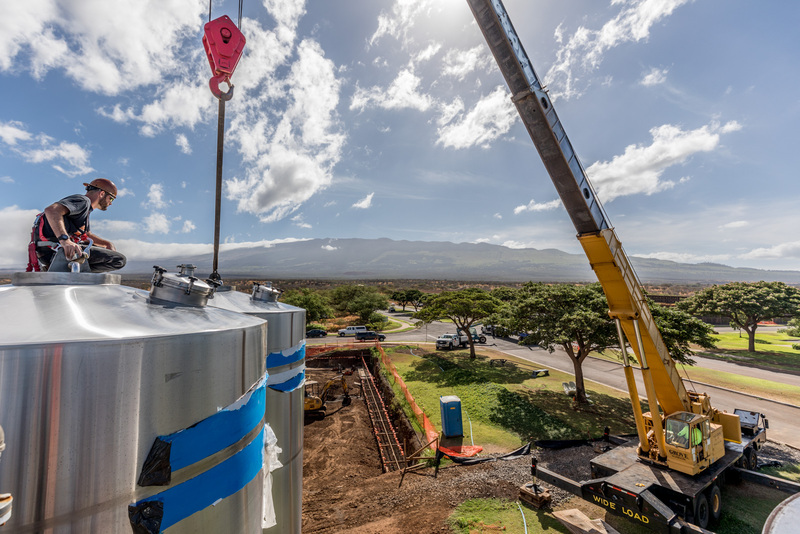 Maui Brewing Co, Hawaii’s biggest craft brewery, just got even bigger with six new fermentation tanks from Lehui Craft! 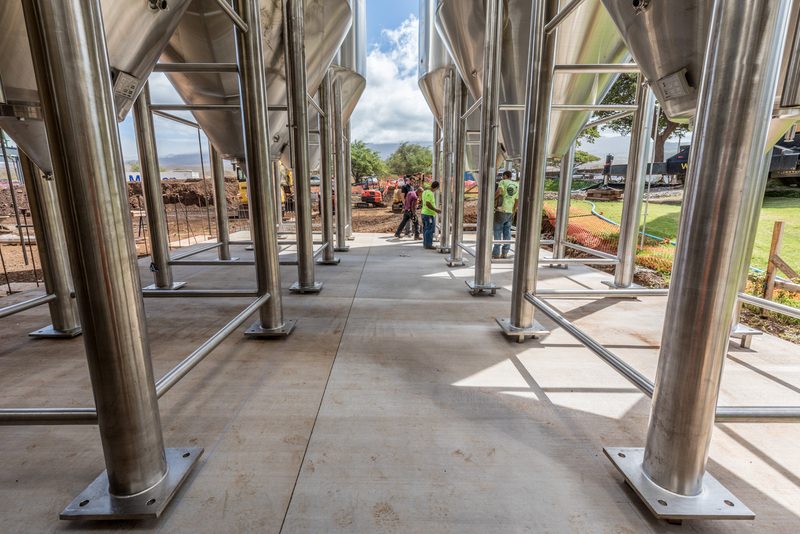 The six 250 BBL fermentation tanks are ASME-certified and add a total of 1,500 BBL to Maui Brewing’s cellar capacity. Despite heavy winds during installation, the six tanks made it safely to their new home and are now fermenting island-brewed beer. 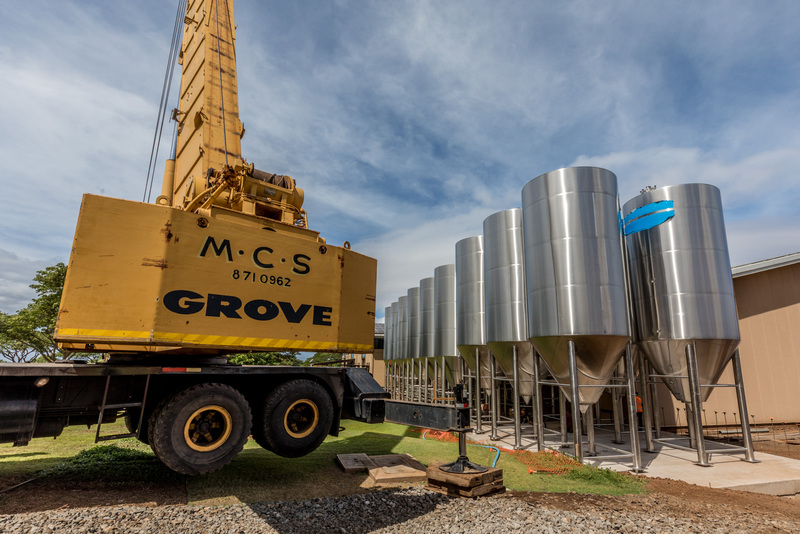 The tanks will help Maui Brewing Co. meet the growing demand for their island-brewed ales and lagers after the brewery expanded their distribution to 23 states in June 2017. This year, Maui Brewing added Michigan, Minnesota, and Wisconsin to their distribution footprint. We’re looking forward to seeing Maui Brewing Co’s continued success with the expanded tank capacity, and we’ve been thrilled to find Bikini Blonde Lager, Big Swell IPA, and Coconut Hiwa Porter around our U.S. headquarters in Detroit. Be sure to check out if Maui’s beer is sold near you to get a taste of aloha for yourself! You can find more information about Lehui Craft’s fermentation tanks here, or request a quote on our website if you’d like an estimate for tanks or other brewing equipment.